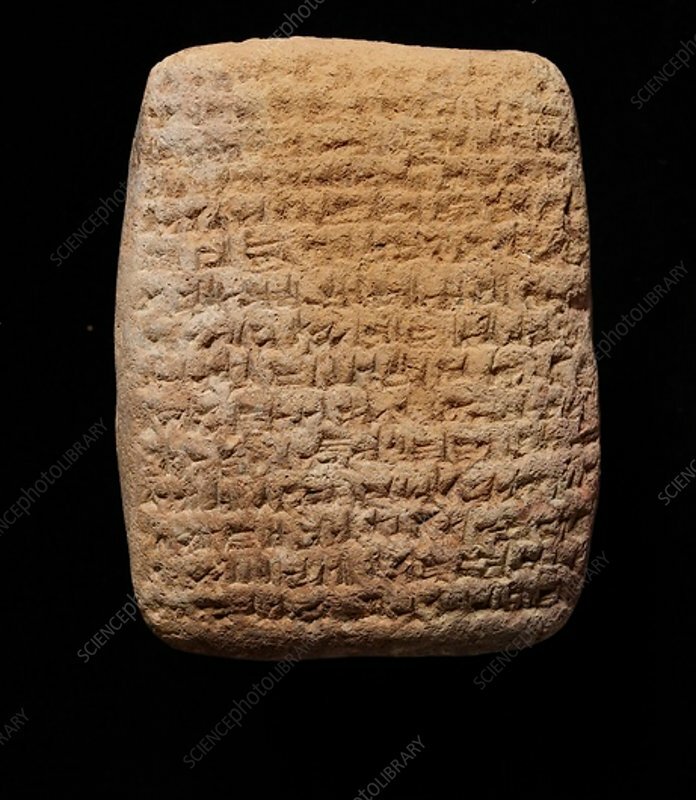 Clay tablet with cuneiform script on both sides, Late Babylonian, c6th century BC. Provisional identification: Late Babylonian land-sale contract. Dimensions: height: 9.7 cmwidth: 7.3 : 3.3 cm.